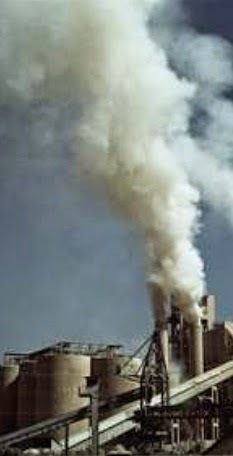 Now we are very much concern about environment pollution especially with carbon emission. During industrial revolution, unplanned burning of coal produce huge amount of greenhouse gas and later we also continue the emission by better managing fossil fuel but using in large amount. Now global worming is burning question especially for low lying country. Now-a-days, conscious people look for energy consumption of materials they used per unit volume. Our material is here concrete. With many advantages of concrete, energy efficiency of it, is also appreciated with rest. Can you imagine? each cubic meter of steel production seek 300 GJ energy while concrete need only 3.4 GJ for each cubic meter. Major energy consumption and related cost for concrete involved with cement production. In case of reinforced concrete steel also considered. The energy requirement of both materials have specified above. Steel used as reinforcement have greater energy consumption but used as a mere percentage of concrete. Say in column only (2-3)% steel used [limit (1-8)%], in other sections like slab this percentage is also quite low. Again above materials are industrial by-product which are not the primary product of industry i.e. in industrial process, energy is consumed to produce those product but unexpected in the production process. Thus using these materials we also using wasted energy if they left unused. Now another consideration can also be include here, as energy efficiency, is its excellent thermal properties (thermal conductivity 3 w/m.k). Regarding thermal conductivity we have published many posts and also some about fire attack and damage in this blog and many will be posted soon.